Welcome to Riptide K-9 Training! "Our methods are proven, safe and reliable, we guarantee our training for the life of your dog!" Basic and Advanced Obedience, Behavior Modification, In-Home or In-Board available! 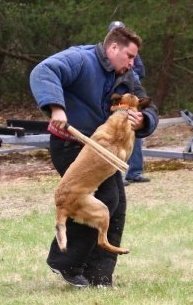 Our Massachusetts-based dog and owner/handler training company provides its clients with a well trained canine companion through a complete portfolio of services. If you seek a professional dog trainer in Massachusetts, you have come to the right place! We offer all breed pet obedience training that specializes in exclusive in-board training at our facility and in some cases, private one on one sessions. After training, your dog will reliably follow your commands, properly meet and greet people, walk nicely on leash without pulling, and come when it is called (click on the Obedience link). 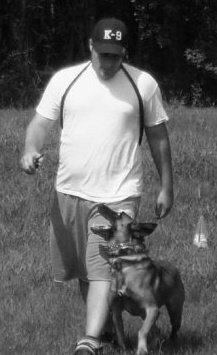 For clients interested in personal protection, we can train your dog to guard you and your family, and to respond only to your commands. At a higher level, we can train your dog to compete in controlled professional protection sports (click on the Personal Protection link). For police and security professionals, we offer in service training for police and private security K-9 handlers and teams, training for police and security dogs, and seminars for continuing education of handlers (click on the police K-9 link). We also offer behavior modification programs to address special behavioral issues such as aggression, shyness, and hyperactivity. These issues can be challenging and are best addressed with the services of a Professional Certified Dog Trainer using techniques that are safe, efficient, and professionally recognized. Please visit our “Services” page for more details on these programs. Our professional trainers are certified, licensed, and committed to their objectives. Call for a free consultation to find out which training program will fit your lifestyle and objectives for you and your pet. On behalf of Riptide K-9, thank you for visiting our website.